This equation states that the optimal collector temperature is the geometric average of the maximum collector (stagnation) temperature and the ambient temperature. Typical stagnation temperatures and the resulting optimum operating temperatures for various types of concentrating collectors are shown in Table 3.4. The stagnation temperatures shown in Table 3.4 are estimated by considering mainly the collector radiation losses. As can be seen from the data presented in Table 3.4 for high-performance collectors such as the central receiver, it is better to operate the system at high flow rates to lower the temperature around the value shown instead of operating at very high temperature to obtain higher thermodynamic efficiency from the collector system. Note: Ambient temperature considered = 25°C. 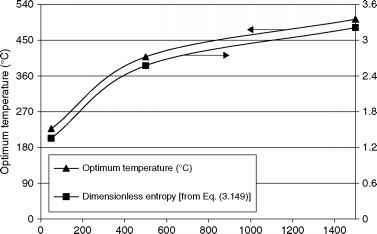 FIGURE 3.46 Entropy generated and optimum temperatures against collector concentration ratio. where 9* = T*/To. It should be noted that, for flat-plate and low-concentration ratio collectors, the last term of Eq. (3.149) is negligible, since 9* is much bigger than 9max - 1; but it is not for higher-concentration collectors such as the central receiver and the parabolic dish ones, which have stagnation temperatures of several hundreds of degrees. By applying the stagnation temperatures shown in Table 3.4 to Eq. (3.149), the dimensionless entropy generated against the collector concentration ratios considered here, as shown in Figure 3.46, is obtained. If the inlet temperature is fixed, 0in = 1, then the entropy generation rate is a function of only M and 0out. These parameters are interdependent because the collector outlet temperature depends on the mass flow rate. 3.1 For a one-cover flat-plate collector of dimensions 3 X 6 m, tilted at 40° from horizontal, determine the overall heat loss coefficient. The environmental temperature is 10°C and the wind blows at 4 m/s. The absorber plate is 0.5 mm thick with an emissivity of 0.92. The glass cover is 3.5 mm thick and located 35 mm from the absorbing plate, and the glass emissivity is 0.88. The insulation is fiberglass 45 mm thick at the back and 25 mm at the edges. The mean absorber temperature is 90°C. Estimate the overall heat loss coefficient using both the detailed and the empirical method and compare the results. 3.2 For a two-cover flat-plate collector of dimensions 3 X 6 m, tilted 45° from horizontal, determine the overall heat loss coefficient. The environmental temperature is 5°C and the wind blows at 5 m/s. The absorber plate is 0.6 mm thick with an emissivity of 0.15. The glass covers are 3.5 mm thick with a gap of 20 mm and the bottom one is located 50 mm from the absorbing plate. The glass emissivity is 0.88. The insulation is fiberglass 50 mm thick at the back and 30 mm at the edges. The mean absorber temperature is 90°C. Estimate the overall heat loss coefficient using both the detailed and the empirical method and compare the results. 3.3 A flat-plate collector 4 m2 in area is tested during the night to measure the overall heat loss coefficient. Water at 60°C circulates through the collector at a flow rate of 0.06 L/s. The ambient temperature is 8°C and the exit temperature is 49°C. Determine the overall heat loss coefficient. 3.4 For a two-cover 2 X 6 m flat-plate collector, tilted at 45° from horizontal, determine the overall heat loss coefficient. The environmental temperature is -5°C and the wind blows at 8 m/s. The absorber plate is 0.1 cm thick with an emissivity of 0.93 maintained at 80°C. The glass covers are 0.5 cm thick with a gap of 2.5 cm and the bottom one is located 6 cm from the absorbing plate. The glass emissivity is 0.88. The insulation is fiberglass 7 cm thick at the back and 3 cm at the edges. Overall heat loss coefficient = 5.6 W/m2-°C. Water inlet temperature = 50°C. Mass flow rate through the collector = 0.25 kg/s. Tube inside convection heat transfer coefficient = 235 W/m2-K.
Absorber plate is selective, with an = 0.92, thickness = 0.5 mm. Copper tubes are used for risers, with 13.5 mm inside diameter, 15 mm outside diameter, and distance between risers 12 cm. 3.6 A flat-plate solar collector with dimensions of 1 X 2 m has eight copper riser tubes of 13.5 mm inside diameter and 15 mm outside diameter, mounted on a copper absorbing plate 0.5 mm in thickness, which is at 85°C. Inlet water temperature is 55°C and the flow rate is 0.03 kg/s. Calculate the convection heat transfer coefficient inside the riser pipes, the outlet water temperature, and the absorbed solar radiation on the collector surface, assuming a fin efficiency of 95%. 3.7 The overall heat loss coefficient of a flat-plate collector is 6.5 W/m2-K. The absorber plate is 0.4 mm thick and the riser tubes have 10 mm inside diameter and 12 mm outside diameter. If the distance between the centers of the riser tubes is 12 cm and the tube inside convection heat transfer coefficient is 250 W/m2-K, estimate the collector efficiency factor when the material used is aluminum and copper. 3.8 A single-glazed air heating collector that has a flow channel behind the absorber that is 1.5 m wide, 3.5 m long, and 5 cm high. The mass flow rate of the air is 0.045 kg/s and the air inlet temperature is 45°C. The insolation on the tilted collector surface is 920 W/m2 and the collector effective Ta is 0.87. When the ambient temperature is 12°C, the overall heat loss coefficient is 4.5 W/m2-K. If the emissivity of the surfaces of the airflow channel is 0.9, estimate the outlet air temperature and the efficiency of the collector. 3.9 A CPC has an acceptance half angle of 16° and its long axis is oriented along the east-west direction with a tilt of 45°.The collector is located at a latitude of 35°N where, on March 10 at 1:00 to 2:00 pm, the beam radiation on the horizontal is 1.3 MJ/m2 and the diffuse is 0.4 MJ/m2. A single glass cover is used on the concentrator, with KL = 0.032. Estimate the absorbed radiation for the hour indicated if specular reflectivity is 0.85 and the absorptivity values are 0.96 at normal incidence, 0.95 at incidence angle of 20°, 0.94 at 40°, and 0.89 at 60°. What is the useful energy output of the collector per unit aperture area if the overall heat loss coefficient is 7 W/m2-K, the heat removal factor is 0.88, the ambient temperature is 10°C, and the inlet fluid temperature is 55°C? 3.10 A parabolic trough collector has a tubular steel receiver with a glass cover and the space between the receiver and the glass is evacuated. The receiver is 10 m long and has an outside diameter of 5 cm and an inside diameter of 4 cm. The glass cover diameter is 8 cm. If the receiver surface is selective with e = 0.11 and is at 250°C, determine the overall heat loss coefficient of the receiver when environmental temperature is 24°C, the wind speed is 2 m/s, and the glass emissivity is 0.92. 3.11 For the previous problem, if the collector aperture is 4 m, the receiver tube is steel, the inside convection coefficient is 280 W/m2-K, and the absorbed solar radiation is 500 W/m2 of aperture area, estimate the useful energy gain of the collector and the collector outlet temperature. The circulating fluid is oil with a specific heat of 1.3 kJ/kg-K, circulating at a flow rate of 1 kg/s and entering the receiver at 210°C. ASHRAE, 2007. Handbook of HVAC Applications. Atlanta, ASHRAE. Beckman, W.A., Klein, S.A., Duffie, J.A., 1977. Solar Heating Design. John Wiley & Sons, New York. Bejan, A., 1995. Entropy Generation Minimization, second ed. CRC Press, Boca Raton, FL, Chapter 9. Bejan, A., Kearney, D.W., Kreith, F., 1981. 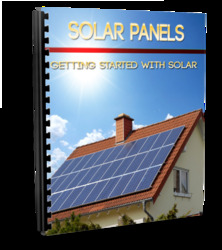 Second law analysis and synthesis of solar collector systems. J. Solar Energy Engin. 103, 23-28. Benz, N., Hasler, W., Hetfleish, J., Tratzky, S., Klein, B., 1998. Flat-plate solar collector with glass TI. In: Proceedings of Eurosun'98 Conference on CD ROM, Portoroz, Slovenia. Boultinghouse, K.D., 1982. Development of a Solar-Flux Tracker for Parabolic-Trough Collectors. Sandia National Laboratory, Albuquerque, NM. Brandemuehl, M.J., Beckman, W.A., 1980. Transmission of diffuse radiation through CPC and flat-plate collector glazings. Solar Energy 24 (5), 511-513. Briggs, F., 1980. Tracking—Refinement Modeling for Solar-Collector Control. Sandia National Laboratory, Albuquerque, NM. Technology. In: Johanson, T.B., Kelly, H., Reddy, A.K.N., Williams, R.H. (Eds.) Renewable energy: Sources for fuels and electricity. Earthscan, Island Press, Washington DC, pp. 213-296. Dudley, V., 1995. SANDIA Report Test Results for Industrial Solar Technology Parabolic Trough Solar Collector, SAND94-1117. Sandia National Laboratory, Albuquerque, NM. Duffie, J.A., Beckmanm, W.A., 1991. Solar Engineering of Thermal Processes. John Wiley & Sons, New York. Feuermann, D., Gordon, J.M., 1991. Analysis of a two-stage linear Fresnel reflector solar concentrator. ASME J. Solar Energy Engin. 113, 272-279. Francia, G., 1961. A new collector of solar radiant energy. UN Conf. New Sources of Energy, Rome 4, 572. Francia, G., 1968. Pilot plants of solar steam generation systems. Solar Energy 12, 51-64. Garg, H.P., Hrishikesan, D.S., 1998. Enhancement of solar energy on flat-plate collector by plane booster mirrors. Solar Energy 40 (4), 295-307. Geyer, M., Lupfert, E., Osuna, R., Esteban, A., Schiel, W., Schweitzer, A., Zarza, E., Nava, P., Langenkamp, J., Mandelberg, E., 2002. Eurotrough-parabolic trough collector developed for cost efficient solar power generation. In: Proceedings of 11th Solar PACES International Symposium on Concentrated Solar Power and Chemical Energy Technologies on CD ROM. Zurich, Switzerland. Grass, C., Benz, N., Hacker, Z., Timinger, A., 2000. Tube collector with integrated tracking parabolic concentrator. In: Proceedings of the Eurosun'2000 Conference on CD ROM. Copenhagen, Denmark. Guven, H.M., Bannerot, R.B., 1985. Derivation of universal error parameters for comprehensive optical analysis of parabolic troughs. In: Proceedings of the ASME-ISES Solar Energy Conference. Knoxville, TN, pp. 168-174. Guven, H.M., Bannerot, R.B., 1986. Determination of error tolerances for the optical design of parabolic troughs for developing countries. Solar Energy 36 (6), 535-550. Hollands, K.G.T., Unny, T.E., Raithby, G.D., Konicek, L., 1976. Free convection heat transfer across inclined air layers. J. Heat Transf., ASME 98, 189. Jeter, M.S., 1983. Geometrical effects on the performance of trough collectors. Solar Energy 30, 109-113. Kalogirou, S.A., 1996. Design and construction of a one-axis sun-tracking mechanism. Solar Energy 57 (6), 465-469. Kalogirou, S., 2003. The potential of solar industrial process heat applications. Applied Energy 76 (4), 337-361. Kalogirou, S., 2004. Solar thermal collectors and applications. Prog. Energy Combust. Sci. 30 (3), 231-295. Kalogirou, S., Eleftheriou, P., Lloyd, S., Ward, J., 1994a. Design and performance characteristics of a parabolic-trough solar-collector system. Appl. Energy 47 (4), 341-354. Kalogirou, S., Eleftheriou, P., Lloyd, S., Ward, J., 1994b. Low cost high accuracy parabolic troughs: Construction and evaluation. 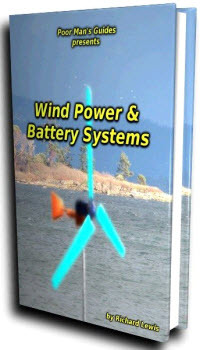 In: Proceedings of the World Renewable Energy Congress III. Reading, UK, 1, 384-386. Karimi, A., Guven, H.M., Thomas, A., 1986. Thermal analysis of direct steam generation in parabolic trough collectors. In: Proceedings of the ASME Solar Energy Conference. pp. 458-464. Kearney, D.W., Price, H.W., 1992. Solar thermal plants—LUZ concept (current status of the SEGS plants). In: Proceedings of the Second Renewable Energy Congress. Reading, UK, vol. 2, pp. 582-588. Klein, S.A., 1975. Calculation of flat-plate collector loss coefficients. Solar Energy 17 (1), 79-80. Klein, S.A., 1979. Calculation of the monthly average transmittance-absorptance products. Solar Energy 23 (6), 547-551. Kreider, J.F., 1982. The Solar Heating Design Process. McGraw-Hill, New York. Kreider, J.F., Kreith, F., 1977. Solar Heating and Cooling. McGraw-Hill, New York. Kruger, D., Heller, A., Hennecke, K., Duer, K., 2000. Parabolic trough collectors for district heating systems at high latitudes—A case study. In: Proceedings of Eurosun'2000 on CD ROM. Copenhagen, Denmark. Lupfert, E., Geyer, M., Schiel, W., Zarza, E., Gonzalez-Anguilar, R.O., Nava, P., 2000. Eurotrough—A new parabolic trough collector with advanced light weight structure. In: Proceedings of Solar Thermal 2000 International Conference, on CD ROM. Sydney, Australia. Mills, D.R., 2001. Solar Thermal Electricity. In: Gordon, J. (Ed. ), Solar Energy: The State of the Art. James and James, London, pp. 577-651. Molineaux, B., Lachal, B., Gusian, O., 1994. Thermal analysis of five outdoor swimming pools heated by unglazed solar collectors. Solar Energy 53 (1), 21-26. Morrison, G.L., 2001. Solar Collectors. In: Gordon, J. (Ed. ), Solar Energy: The State of the Art. James and James, London, pp. 145-221. Orel, Z.C., Gunde, M.K., Hutchins, M.G., 2002. Spectrally selective solar absorbers in different non-black colors. In: Proceedings of WREC VII, Cologne, on CD ROM. Pereira, M., 1985. Design and performance of a novel non-evacuated 1.2x CPC type concentrator. In: Proceedings of Intersol Biennial Congress of ISES. Montreal, Canada, vol. 2. pp. 1199-1204. Petela, R., 1964. Exergy of heat radiation. ASME J. Heat Trans. 68, 187. Prapas, D.E., Norton, B., Probert, S.D., 1987. Optics of parabolic trough solar energy collectors possessing small concentration ratios. Solar Energy 39, 541-550. Rabl, A., 1976. Optical and thermal properties of compound parabolic concentrators. Solar Energy 18 (6), 497-511. Rabl, A., O'Gallagher, J., Winston, R., 1980. Design and test of non-evacuated solar collectors with compound parabolic concentrators. Solar Energy 25 (4), 335-351. Romero, M., Buck, R., Pacheco, J.E., 2002. An update on solar central receiver systems projects and technologies. J. Solar Energy Engin. 124 (2), 98-108. Shewen, E., Hollands, K.G.T., Raithby, G.D., 1996. Heat transfer by natural convection across a vertical cavity of large aspect ratio. J. Heat Trans., ASME 119, 993-995. Sodha, M.S., Mathur, S.S., Malik, M.A.S., 1984. Wiley Eastern Limited, Singapore. Spate, F., Hafner, B., Schwarzer, K., 1999. A system for solar process heat for decentralized applications in developing countries. In: Proceedings of ISES Solar World Congress on CD ROM. Jerusalem, Israel. Tabor, H., 1966. Mirror boosters for solar collectors. Solar Energy 10 (3), 111-118. Tripanagnostopoulos, Y., Souliotis, M., Nousia, T., 2000. Solar collectors with colored absorbers. Solar Energy 68 (4), 343-356. Wackelgard, E., Niklasson, G.A., Granqvist, C.G., 2001. Selective Solar-Absorbing Coatings. In: Gordon, J. (Ed. 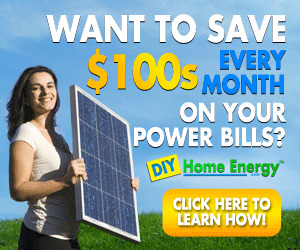 ), Solar Energy: The State of the Art. James and James, London, pp. 109-144. Wazwaz, J., Salmi, H., Hallak, R., 2002. Solar thermal performance of a nickel-pigmented aluminum oxide selective absorber. Renew. Energy 27 (2), 277-292. Winston, R., 1974. Solar concentrators of novel design. Solar Energy 16, 89-95. Winston, R., Hinterberger, H., 1975. Principles of cylindrical concentrators for solar energy. Solar Energy 17 (4), 255-258. Winston, R., O'Gallagher, J., Muschaweck, J., Mahoney, A., Dudley, V., 1999. Comparison of predicted and measured performance of an integrated compound parabolic concentrator (ICPC). In: Proceedings of ISES Solar World Congress on CD ROM. Jerusalem, Israel. ISO 9806-1:1994 and ASHRAE Standard 93:2003 give information on testing solar energy collectors using single-phase fluids and no significant internal storage. The data can be used to predict the collector performance in any location and under any weather conditions where load, weather, and insolation are known. 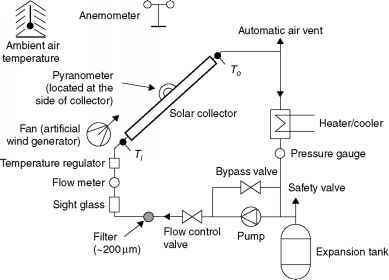 Solar collectors can be tested by two basic methods: under steady-state conditions or using a dynamic test procedure. The former method is widely used and the test procedures are well documented in the aforementioned standards for glazed collectors and in ISO 9806-3:1995 (ISO, 1995b) for unglazed collectors. For steady-state testing, the environmental conditions and collector operation must be constant during the testing period. For clear, dry locations, the required steady environmental conditions are easily satisfied and the testing period requires only a few days. In many locations of the world, however, steady conditions may be difficult to achieve and testing may be possible only in certain periods of the year, mainly during summertime, and even then, extended testing periods may be needed. For this reason, transient or dynamic test methods have been developed. Transient testing involves the monitoring of collector performance for a range or radiation and incident angle conditions. Subsequently, a time-dependent mathematical model is used to identify from the transient data the collector performance parameters. An advantage of the transient method is that it can be used to determine a wider range of collector performance parameters than the steady-state method. The dynamic test method is adopted by EN 12975-1 standard. The European standards are generally based on the ISO ones but are stricter. These are briefly introduced in Section 4.8. 1. Global solar irradiance at the collector plane, Gt. 2. Diffuse solar irradiance at the collector aperture. 3. Air speed above the collector aperture. 4. Ambient air temperature, Ta. 5. Fluid temperature at the collector inlet, T.
6. Fluid temperature at the collector outlet, To. In this chapter, the steady-state test method is thoroughly described. The dynamic method is presented later in the chapter. FIGURE 4.1 Closed loop test system. FIGURE 4.2 Open loop test system.